Data centres are at the centre of pretty much anything you do if it involves using a smartphone, computer, tablet or any other electronic device. So perhaps the question should actually be – how do you use and interact with a data centre? That Fortnite game you won during your London commute, the pocket money you’ve got from the ATM, the coffee you paid for with a contactless card, your favourite Spotify playlist, the great selfie you just liked.. all these activities made you a data centre user (albeit, not necessarily knowing about it). So, what is that all these services have in common? A worldwide connected network of Data Centres. 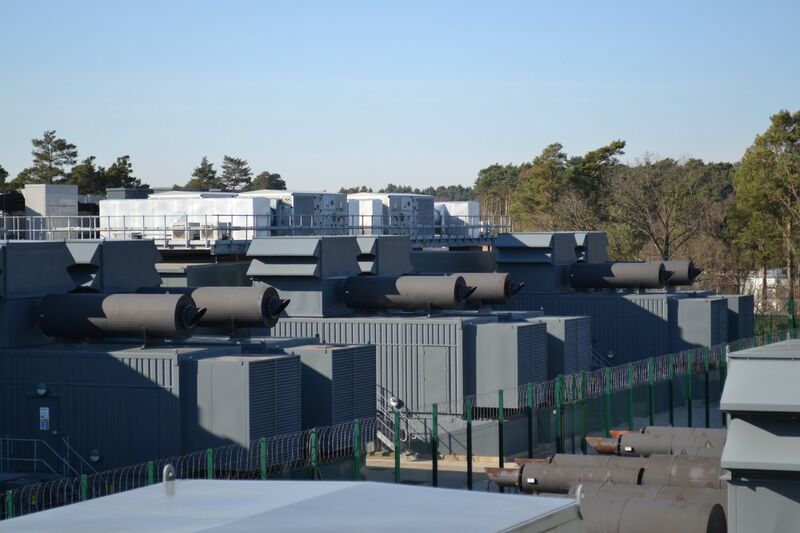 Data centres are structures built and operated to ensure the power stays on to the IT systems that they house, they deliver air at specific conditions and ensure that only authorised people can get in. So, how is this all achieved? We assume that if you are reading this article you are new to data centres, or simply doing some research for a project to further your understanding. So let’s break this down for you. Firstly, it may help if we explain one of the technical terms that are used time and again within our industry. The rest of this article will refer to them, so let’s get it out the way. If you were to host a birthday party with 5 guests and you wanted to ensure everyone had a balloon, you’d need to provide 6 balloons – 1 for the birthday girl/boy and a further 5 for the guests. When you see the term ‘N‘ this is the minimum number of components required to do a task (balloons in this instance) – so N = 6 balloons. If you wanted one spare balloon to avoid the tears if one guest accidentally let their balloon go then you’d buy an extra balloon, in data centre terms this is referred to as N+1 (Note – if you had 10 people at the party you’d need 11 balloons to provide N+1) – If you were concerned that every guest and the host might… just might… let go of their balloon, you could be extra safe and buy a spare for every guest. So….in the original example where you need 6 balloons, you’d make sure you had 12 balloons – This would be expressed as N+N. Ensuring that LED’s keep flashing and the IT keeps working is the primary function of any data centre. So how do we achieve this? Data centres in the UK are connected to the National Grid, the country’s main power network. It would be great if we could be sure that this would stay on all the time. However, as most of us have experienced at some time or other, this is not the case and we go “lights out”. Think – the power in my house has gone off but I can still access Instagram from my phone. How is this so? Well, firstly the Uninterruptible Power Supply (UPS) helps out – the UPS is effectively a set of batteries that have the capability to keep the power on for typically around 5 minutes (Ark’s are in N+N). Great! you say, but the IT will stop working after these 5 short minutes! What happens then? Well, this is where our Generators come in to play, the moment the power goes off and the UPS takes the load, other computer systems – the Building Management System (BMS) and the Electrical Management System (EMS) – detect this and send a signal to the generators to start. The generators provide power within a minute of the grid failure, and remain operational until power from the grid is restored and the systems return to normal. Typically generators are installed in an N+1 configuration, and in Ark’s case each generator has enough fuel to run for 72 hours… of course, we can always get more fuel delivered if this begins to run low. 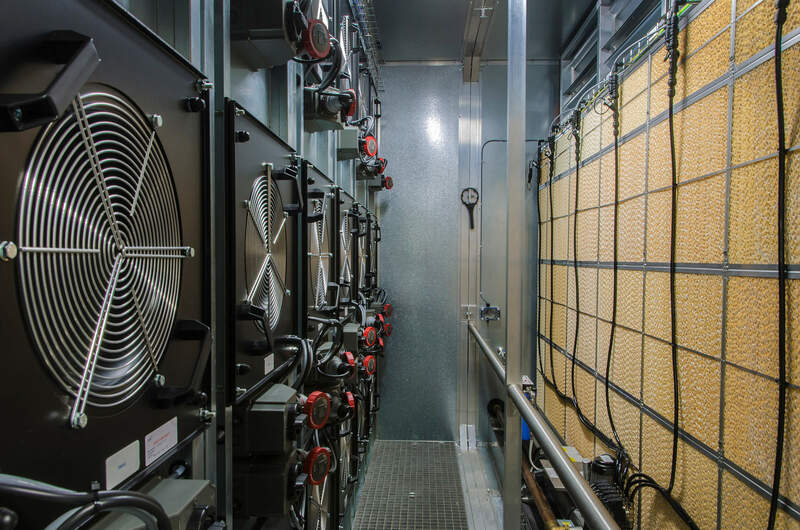 Keeping the power on is the first of the data centre’s tasks, keeping the data centre cool is the second – IT equipment is manufactured to operate within specific temperature and humidity. Typically IT equipment operates within parameters set by the American Society of Heating, Refrigerating and Air-Conditioning Engineers (ASHRAE). This ensures that the temperature is not too cold or hot, either of which extreme can prevent equipment operating. The humidity needs controlling to avoid moisture forming due to high humidity, or the air becoming so dry that static electricity becomes a risk. So, we use mechanical cooling to ensure that air supplied to the IT is around 22oC and a humidity of 60%. Ark uses many types of mechanical cooling, depending on the building and its environment. These include chilled water, direct air and indirect air, but whichever type of cooling is deployed, it will always be at a minimum resilience of N+1. After all, what’s the good of the power being on if the IT overheats? Ark’s favoured approach is direct air cooling, we are a British company who like to deploy British manufactured cooling systems from companies such as BladeRoom and ExCool – these systems deliver highly efficient cooling at very low PUEs – (We will do another blog soon, focused on the mystery that is PUE). Keeping the bad guys out is the obvious issue here and there is no one that does this better than Ark Data Centres. We can’t say too much about how we do this, but our data centres include many systems and many layers. e.g. Anti-climb fences, razor wire, barbed wire, tremble wires, anti-passback control (this means only one person can get through a door at a time, preventing anyone tailgating using a single security pass), biometric systems, 24/7 security staff, “Frickin’ crocodiles and laser beams”… Okay, that last bit isn’t true – but you get the idea. All of these physical layers of security are bolstered and controlled by advanced security software and trained security staff ensuring to the best of anyone’s ability that the data centres remain secure at all times. So… What is a Data Centre? A Data Centre is a technically complex building, typically painted a dull shade of grey that ensures critical IT is on, cool and secure. Every bank, social media company, insurance company, public sector organisation, cloud provider, online videogame company, streaming company, online shop (and virtually every company) will use a data centre, in one way or another. They have to – to ensure they remain part of today’s digital economy at all times. As you will see in the press when someone goes offline people lose money, planes don’t fly, media streaming services stop working, online gaming goes down, evenings get ruined – you might say that a data centre is the beating heart of today’s modern world.